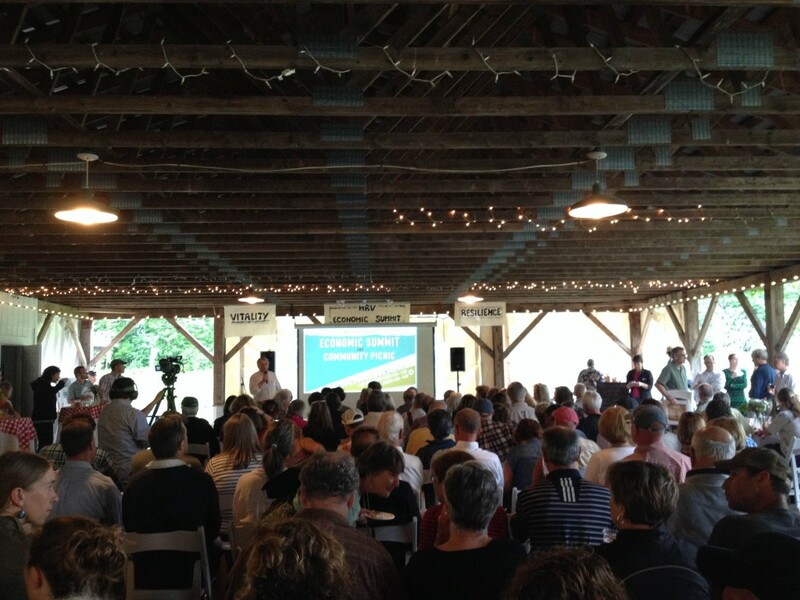 Click here to view the PowerPoint presentation from the ZA Roundtable on June 26, focusing on Vermont Community Revitalization and State Designation, including program updates and the new Neighborhood Development Area program. Fact sheets sharing the benefits of State Designation and more information on each program are available for download here. The second half of the Roundtable was set aside for general discussion regarding zoning administration in the Region. Questions arose surrounding planning for high density development and addressing public concern surrounding affordable housing. Please feel free to e-mail or call CVRPC at (802) 229-0389 with any questions. Communities all around Vermont are using Municipal Planning Grants (MPGs) to help revitalize downtowns, become more resilient to flooding, and to address a variety of local challenges. This year the legislature made $476,544 available for MPGs. The increase from last year’s funding recognizes the impressive accomplishments of the towns and cities that received these grants. Up to $20,000 will be awarded to eligible municipalities chosen through a competitive selection process. See the FY15 MPG Program Description for details on eligibility, funding and the competitive criteria. Grant applications are due September 30, 2014. A wide range of municipal planning activities are eligible for funding but projects that fit into one of the following priorities will have a higher likelihood of receiving grants. All applications must be submitted through our online grants management system, but you are strongly urged to develop the application off-line first. Please use the page-by-page Application Instructions and the Sample Application, both located on our MPG webpage to work out the details of your project and the narratives for your application. Note that starting this year, grant funds can no longer be used for municipal staff time or grant administration. Training for the online application system and preparing a good MPG application will be offered through GoToMeeting on Thursday, August 7th from Noon – 12:45. Contact DHCD staff here for more information and to register. Space is limited. DHCD staff looks forward to helping to fund your community planning efforts. Please don’t hesitate to contact Annina Seiler if you have questions or need assistance with your MPG application. MILTON, Vt. – U.S. Sen. Patrick Leahy and Gov. Peter Shumlin today marked the 40th anniversary of the federal Community Development Block Grant (CDBG) program by announcing nearly $4 million for projects across the state. The announcements were made during a celebration at the home of Kerry McManamon, who bought her house with down-payment assistance funded by the program and the help of the Champlain Housing Trust. The Town of Milton and CHT received the largest grant of the day for home repairs and homeownership assistance in Chittenden, Franklin and Grand Isle counties. “The CDBG Program has a proven track record here in Vermont, and it is the single largest federal investment in community and economic development. This timely announcement of nearly $4 million represents a diverse range of projects, and an even greater range of partners who have come together to improve the quality of life for all Vermonters,” Sen. Leahy said. CDBG is a program of the U.S. Department of Housing and Urban Development and has been administered in Vermont by the Agency of Commerce and Community Development since 1983. Through its Vermont Community Development Program, ACCD makes CDBG grants to communities to assist low and moderate-income persons through job creation, affordable housing, public services and public facilities. “Without the help of CHT and funding through the CDBG program, I wouldn’t be a homeowner today. Programs like this are so important to help working people like me afford to buy a home and put down roots in my community,” said Ms. McManamon. VCDP awards the competitive grants based on the recommendations of the Vermont Community Development Board and approval of Secretary Moulton. The awards made today follow. Planning grant to develop plans, specifications and bid documents to make the historic Woods Library fully accessible and meet the requirements of the Americans with Disabilities Act. Planning grant for a Phase 1 Environmental Site Assessment and the redesign of the Gardner Memorial Recreation Park in downtown Newport. Grant to assist in the rehabilitation and creation of 11 units of affordable housing at the historic Laura Plantz property, by the Windham & Windsor Housing Trust. Grant to assist in the rehabilitation of eight properties and 34 units of affordable housing by Twin Pines Housing Trust scattered throughout the town of Hartford. One property will be replaced with a highly energy efficient Irene Cottage. Grant to assist Black River Housing Limited Partnership (Housing Vermont and W&WHT) to rehabilitate 22 units of affordable rental housing at Black River Overlook. The project will result in more affordable rents, highly energy efficient units heated by a wood pellet boiler, a new well and improved drinking water system. Grant to assist in the rehabilitation of 19 units of affordable rental housing on Barre Street in Montpelier, VT. This housing currently serves very low income residents and provides them with peer support and others services within walking distance to public transportation, grocery stores and other community amenities. Grant to assist Central Vermont Community Land Trust (CVCLT) and Housing Vermont (HVT) improve the City’s housing stock by demolishing three distressed buildings and replacing them with two new highly energy efficient buildings providing 28 units of affordable family housing and commercial space for CVCLT’s new office. The project is part of the City’s revitalization and master plan. Grant to Rural Edge for the continuation of the regional Northeast Kingdom Housing Rehab Revolving Loan Fund, a three county housing rehabilitation fund that provides loans, grants and financial counseling to low income residents and homeowners. Grant to assist Champlain Housing Trust continue its regional Housing Rehab Revolving Loan Fund in Chittenden, Franklin and Grand Isle Counties. This funding will provide for up to 50 rehab loans and counseling services for up to 800 households. The residential rehabilitation loans help homeowners who otherwise would not be eligible or could not afford conventional bank financing. The loans allow them to make needed life and safety repairs and energy efficiency improvements. More information about the Vermont Community Development Program and CDBG is available at: http://accd.vermont.gov/strong_communities. July 29, 2014, 10 AM: Winooski Room, National Life Building, 1 National Life Drive, Main 2, Montpelier, VT. This meeting will be offered by webinar/teleconference as well. August 5, 2014, 5:30 PM: Fox Room, Rutland Free Library, 10 Court Street, Rutland, VT.
August 8, 2014, 1 PM: Eastside Restaurant, 47 Landing Street, Newport, VT. This meeting will be held coincident with the Memphremagog Watershed Association‘s annual watershed workshop. All members of the public are welcome to the 1 PM public hearing. The addition of new phosphorus criteria framework for lakes and ponds and wadeable streams to comply with EPA’s National Strategy for the Development of Regional Nutrient Criteria promulgated under Section 304(a) of the CWA. Click here to view the full text of the Water Quality Standards, with proposed markup. Technical support documentation for the bacteria, Appendix C, and nutrient criteria amendments are also provided on that page. The public notice of availability will be posted here on June 25, 2014 and comment will be accepted beginning on that date. Information on webinar access for the July 29, 2014 meeting will be provided approximately one week prior to the event. The deadline for written public comment is August 22, 2014. WSMD looks forward to hearing from the public and stakeholders regarding the proposed amendments. Comments may be submitted electronically to Neil Kamman at neil.kamman@state.vt.us or in writing at 1 National Life Drive, Main 2, Montpelier, VT 05620. Commentors using email are requested to use the subject heading “Public Comment on Water Quality Standards” in their correspondence. The City of Montpelier’s Local Hazard Mitigation Plan draft is available to review for public comments. If you would like to review, you can download a copy of the plan here. Please contact Kim at mckee@cvregion.com or 802-229-0389 with any comments or questions. CVRPC’s Town Plan Review Committee will be convening on Wednesday, July 2 from 4-6pm to review the adopted 2014 Barre Town Municipal Plan and the adopted 2013 Waterbury Municipal Plan. The meeting will be held at CVRPC offices, 29 Main Street-Suite 4 in Montpelier. For more information, please contact Stephanie Smith at 229-0389. 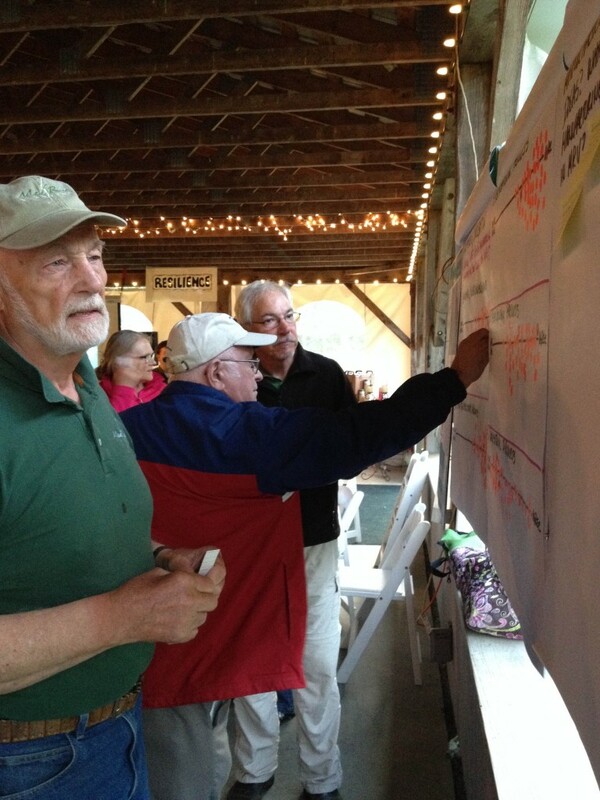 A meeting was held on June 12, 2014 at the VTTC (form VTrans Materials Lab) to received comments from the area communities (Barre, Berlin and Montpelier) relative to the closing of the Berlin State Hwy Bridge # B1 that crosses over VT Route 62 for joint repair work. Berlin State Hwy’s Montpelier ramp will be closed for two week for bridge join repair. The project construction schedule is (July 8,2014 to July 23,2014). These dates are tentative based upon further review of the traffic management plan. If changes are needed to this schedule, proper notice will be made by VTrans. VTrans Traffic Design staff commented that there is a project this summer on the series of traffic signals along US 302 (Barre-Montpelier Rd.) beginning at the bottom of Berlin State Hwy (Benjamin Falls Rd) and extending to the Price Chopper Dr. intersection. These traffic signals are all linked and coordinated. The traffic signals at the VT 62/N. Main St. intersection in Barre City are owned and operated by Barre City. These signals are linked to operate in conjunction with traffic signals further south along Main St. in Barre City. Traffic signal adjustments as a result of the additional traffic created by this short two week bridge closure are difficult to anticipate and may not be worth the effort given the short duration of the project. Additional Changeable Message Boards will be installed on Interstate 89 north of Exit 5 (Williamstown/Northfield) for northbound traffic and south of Exit 9 (Middlesex) for southbound traffic in an attempt to route traffic away from Exit 7 and the construction site. The project will be added to the Agency’s 511 website. Brent Curtis will include the project in his weekly construction announcements. Advance signing will be in place at least on week prior to closing of the bridge. There was general discussion relative to the structural design of the project with thoughts on materials and methods to shorten the construction and bridge closure period. These ideas will be considered and discussed in-house and potentially with the contractor. Please contact James B. McCarthy, PE Operations Division Vermont Agency of Transportation email – JB.McCarthy@state.vt.us or phone – 802-505-1451 with any questions/concerns. CVRPC’s Project Review Committee will be convening on Thursday, June 19 from 4-6pm to hear a presentation from an applicant regarding the Blush Hill Meadows LLC (Town of Waterbury) Act 250 permit application. This permit application can be viewed via the ANR Act 250 Database. 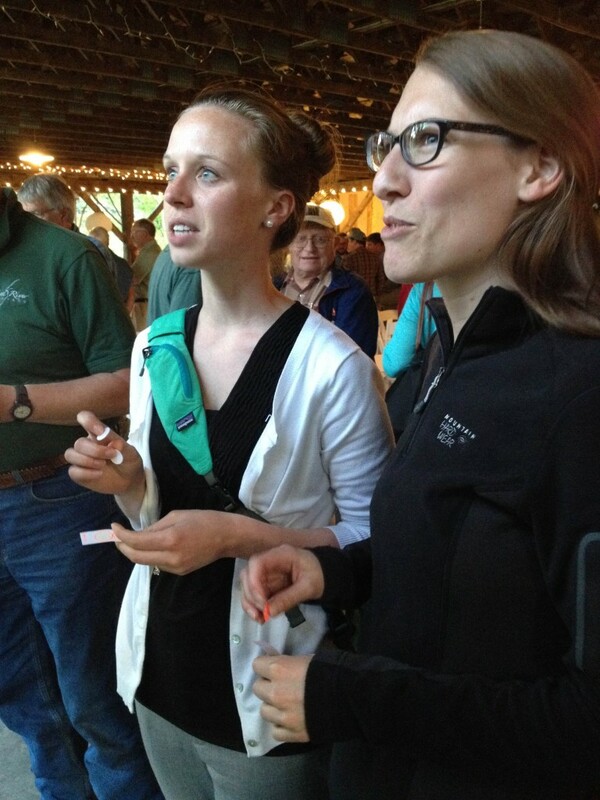 The Mad River Valley Economic Summit and Community Picnic was held yesterday, June 4, at the Lareau Farm Inn in Waitsfield. The event, hosted by the Mad River Valley Planning District (MRVPD) and the Mad River Valley Chamber of Commerce, drew over 200 community members from the district’s three municipalities and beyond. Attendees enjoyed a delicious spread of food donated by local vendors and a presentation, moderated by Noelle Mackay, that highlighted findings from two economic studies recently conducted in the Valley—the Mad River Valley Economic Study and the Vermont Downtown Action Team (V-DAT) Reports for Waitsfield and Warren Villages. The Mad River Valley Economic Study was funded by a Municipal Planning Grant from the Vermont Agency of Commerce and Community Development (ACCD) and a contribution from the Chamber of Commerce. Consultants from the SE Group, Birchline Planning, LLC, and Doug Kennedy Advisors aimed to understand and quantify the Valley’s economic profile and health by analyzing relevant data, conducting interviews, identifying key industry sectors, and exploring prospects to support the future of the Valley. To view the full report, please click here. V-DAT, in conjunction with the Vermont Downtown Program, worked with Warren and Waitsfield last year to develop long-term economic development plans and strategies based on strengthening place-based identity, economic vitality, and resilience. Lead consultant on the project, Tripp Muldrow, presented the results. The full reports will be available in August, 2014. The Summit focused on an economic history of the Valley over the past three decades, as well as more recent trends, opportunities, and challenges that will play a role in the future. Attendees were given the opportunity to provide input on a variety of different sectors (i.e. Agriculture, Food Systems, Tourism and Recreation, Manufacturing, etc.) and their potential roles in the economic future, vitality, and resilience of the Valley using a dot exercise. To provide additional input on the Valley’s economy, please take this quick survey. Input will be accepted until August 1, 2014. A follow-up event will occur in the Fall in order to further identify the Valley’s potential and strategies to make the community’s vision a reality. For more information, visit www.mrvpd.org, e-mail mrvpd@madriver.org, or call (802) 496-7173. Overview: Stormwater runoff poses a significant threat to Vermont’s waterways from both a water quantity and water quality standpoint. The sheer magnitude of stormwater related issues throughout the state requires a certain level of regulatory control. But regulation alone will only get us so far. Education, outreach, technical assistance, financial incentives, and voluntary implementation are also needed. Luckily, local organizations are making a concerted effort to provide these services to citizens and communities alike. In this webinar, we’ll hear from some of the people and organizations who are pushing for better stormwater management at the local level. Presenters will highlight successful projects and initiatives, discuss challenges, and answer questions from the audience. Take advantage of this opportunity to learn about some great programs and initiatives being undertaken at the local level.